Spring is the season of cleaning and festivities- Persian New Year of Nowruz proves it right. Millions of people around the globe celebrate Nowruz, a festival which is rooted in the ancient Persian religion of Zoroastrianism. According to rough estimates, the tradition of celebrating Nowruz dates back to 3000 years old. 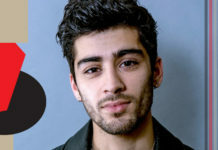 Nowruz is also so unique for being a cultural festival which is celebrated by the followers of more than one religion. 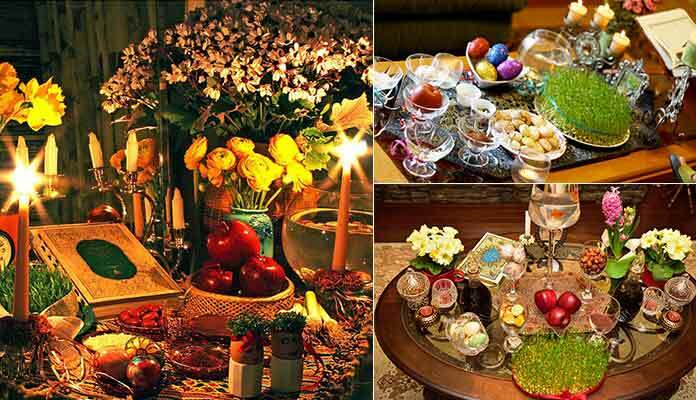 It is the second decade of the twenty-first century and millions of Iranian and non-Iranian people around the globe celebrate Nowruz. Apart from religious affiliations, the festival marks the arrival of Persian New Year on vernal equinox which falls on 19 or 20 March. Briefly, people celebrate the Nowruz to welcome the longer and sunnier days of spring. For this purpose, they make advance preparation and make different unique dishes that are more symbolic of the days to come rather than merely proving to be a way to satiate the taste buds. If you are an Iranian or belong to a religion whose followers celebrate Nowruz, then you should strictly follow the spring cleaning tips– this is because as part of celebrations one must thoroughly clean the home to get rid of any winter dust and to welcome the Persian New Year with more openness. Women washing the carpets in Iran in the spring season are a common sight. They start this detailed and thorough cleaning, weeks before the festival is set to begin. But, apart from setting the homes for a new-beginning another important part of the event is setting the table. 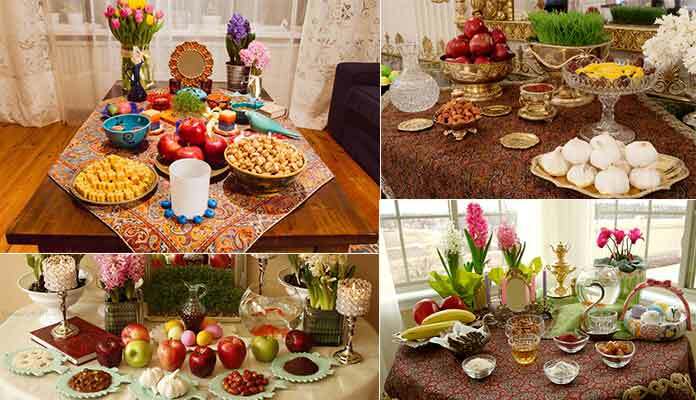 Another special part of the Persian New Year celebration is the setting of a table in a particular order. On this eve, every household sets the table in a way that it has seven dishes that start with word giving the sound of ‘S’. Apart from the word’s sound, another thing that matters is that each dish should represent the symbols like health, wealth, beauty, any medicinal benefit (In case of Seer (garlic)), and the arrival of a new year (Like Sabzeh- any vegetable or sprout is used for this purpose). While setting the table, few followers also keep a mirror for reflection. Muslim people also keep Quran on the table as part of the celebration. Famous as Persian New Year, Nowruz has now gained an international recognition, because millions of Iranians and Non-Iranians people follow it around the globe. The event overall denotes the will of human beings to continue living in an energetic way- at least this is what one can comprehend from the celebrations. 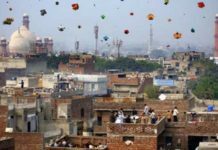 Basant Kite Festival 2019- Where to Celebrate in Pakistan?